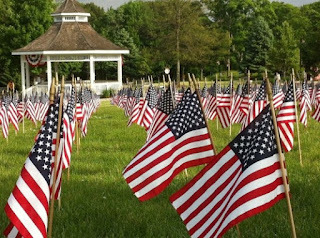 Memorial Day is a day to honor all the fallen soldiers that have paid the ultimate price with their lives in military service for our country. Finding the right words to thank them now that they passed or their families for such a sacrifice seem impossible. Yet, each of us owes it to them to take a private moment and honor their memories before enjoying that picnic or pool party. Maybe your tradition is starting this day watching a parade or visiting the cemetery to lay flowers, wreaths or put up flags at the graves. Others may simply make it a point to display our flag at their homes. However, you go about it, just keep in mind that you are still here with your loved ones because of the actions of those fallen heroes. Take care, dear readers, and stay safe on the roads. I am taking this holiday off, but Nuts 4 Stuff will back to normal operation tomorrow.